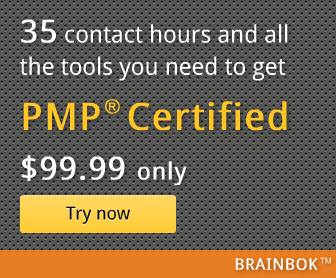 I completed my PMP Exam on Jan 22, 2010. It was a journey of six months including a deviation of a month in the middle.Resources used are following. PM Prepcast: I started preparing for PMP by listening to Project Management Prepcast by Cornelius Fichtner.These are like virtual classrooms and are very helpful to understand all the basic concepts clearly. Rita Mulcahy accelerated learning: This book gives us tricks of trade and tips on which topic we need to emphasize and where we can just give a glance. Kim Heldman: Can give a reading to get a depth of Knowledge. As I had time to read all the above books I gave a try. It is worth to read the above books but It is not a hard and fast rule that everyone who aspire to pass must read all these.You can select your choice. I recommend the following link in Harwinder's blog as one stop for sample questions and Practise exams. Initially while writing 4 hour practise exams I was very much concerned about the exam time and in that hurry I made several mistakes though I know the concepts.So I suggest to give one four hour practise exam to check your ability to manage the given time effectively. The day before the exam I just used my time in practising Rita's process chart ,9*5 chart in Pg 43 of PMBOK and all formulas.This helped me very much in exam. As suggested by experts earlier, use the method of identifying the answer from choices when you are not clear of identifying the answer from questions.Meaning,define the four choices in your own way and one will match the question. All the best for all the Aspirants !